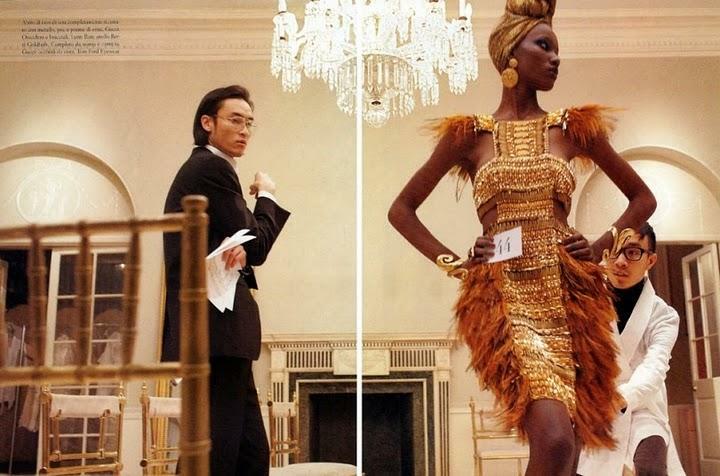 Sixteen year old Herieth Paul has undergone more than her fair share of changes over the past four years. 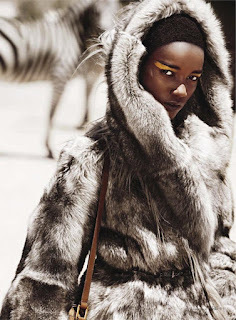 In 2007, Herieth moved from her native Tanzania in Africa to Ottawa Canada, with her diplomat mother. Two years later, unbeknownst to her mother, Herieth walked into an open casting call for Angies Model & Talent in Ottawa and was swiftly signed up. Now aged sixteen, Herieth is being carefully groomed and developed by Women Direct in New York as one of the agency's most promising new faces. Under the guidance of Women Direct, Herieth underwent a dramatic change in appearance with her shoulder length silky black tresses being traded for a closely cropped buzz cut, accentuating to her delicate, gamine features and lending her more of a high fashion contemporary feel. Herieth's modelling career has since taken off to a promising start with lucrative campaigns for Diesel and cK One under the belt, and editorial appearances in Vogue Italia lensed by Steven Meisel, and for Dazed & Confused, Teen Vogue, American Elle and Black Book magazine. Herieth appears to be relatively unfazed by the recent changes and is focused instead on achieving her goals of appearing "on the cover of every magazine." In an interview for the Cut, Herieth is equally poised when asked if "it is difficult as a black model to land high profile work as compared to your non-ethnic counterparts", to which she responds, "Well, I'm new to this industry and I never really thought of it that way. But no, I think that if you work hard you get what you deserve." It's great her new look. In the before shots she reminds me to a young Tyra Banks. Zylian, I agree completely. I loved Tyra when she first started in the modelling biz. 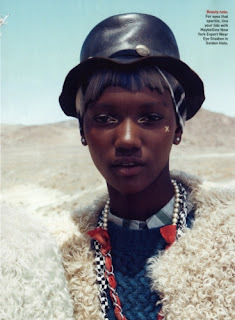 Let's hope Herieth keeps her hair short and doesn't head down the Tyra Banks route till much later in her career.